Voted as one of the top 20 hip hotels of the world, The Dutch House is housed in one of Ceylon’s most well preserved historic mansions, built in 1712. 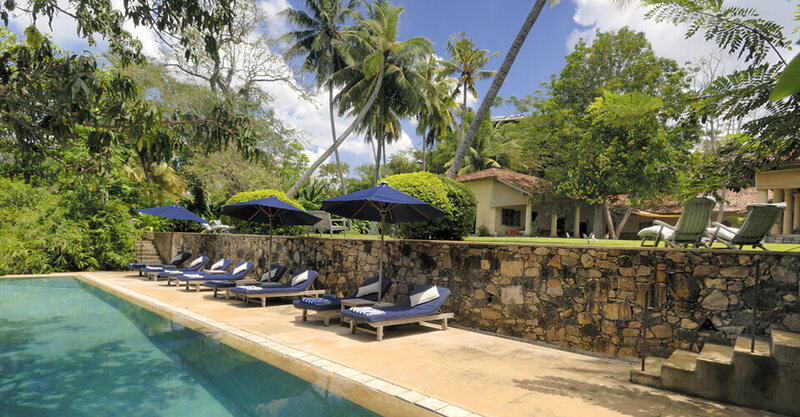 The hotel is situated on the southern coast’s most famous historic city, Galle. High on a hill overlooking the Galle Harbour, yet within minutes of the city center, and with magnificent views of the UN World Heritage listed fort of Galle, Doornberg or The Dutch House has set redefines the exclusive luxury accommodation. An English tropical garden complete with croquet lawn and treetop infinity pool provides ample space for guests to find a quiet area in which to truly unwind. Period Dutch antiques reflect its early 18th century origins but blend in well with its contemporary collection of art. 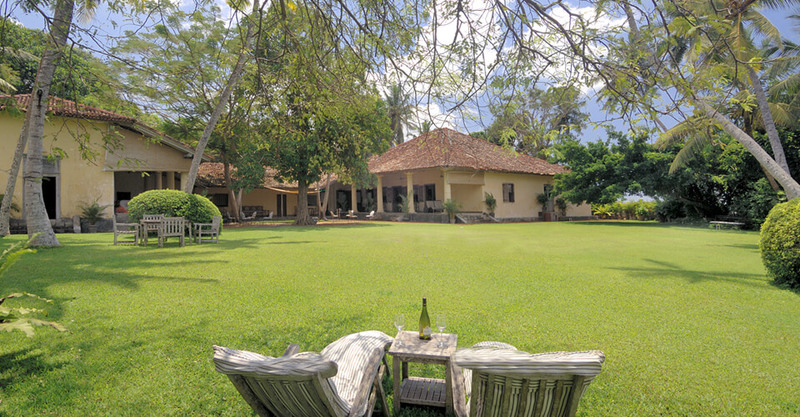 The 4 suites of this country house have complete privacy and spacious living areas. 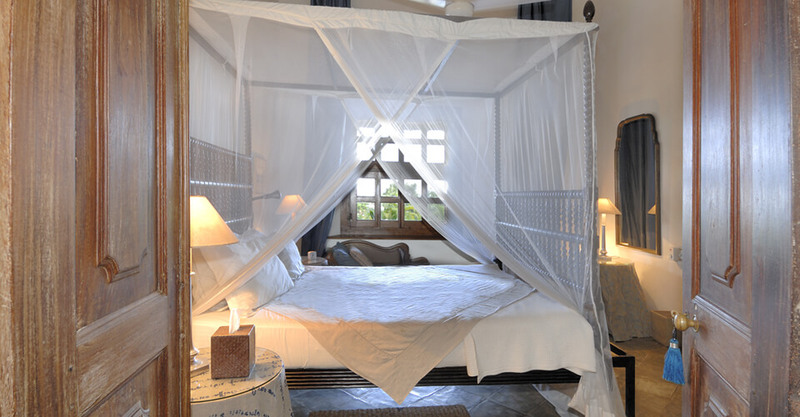 Each bedroom is fully air conditioned with mosquito-net-draped 4 poster beds, luxurious silk drapes, cool polished concrete floors and stunning soft furnishings. The bedrooms lead into a private sitting room which contains comfortable sofas and writing desks with views over the magnificent Galle Fort, the croquet lawn or a private garden. 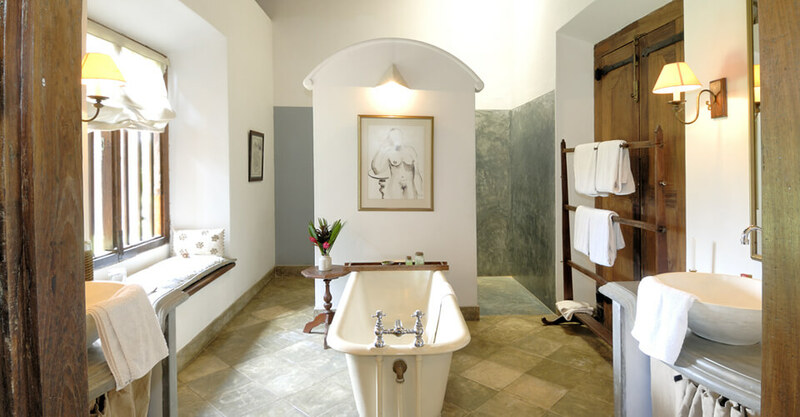 Spacious bathrooms are fitted with fine showers and traditional claw-footed bath tubs which add to the colonial atmosphere. At The Dutch House breakfast is at any time. There are no time constraints and guests can leisurely enjoy a delicious English breakfast served in the courtyard, verandah or in the garden. Light lunches and snacks are served throughout the day in the garden, by the pool or in your room. Dinner is served at the next door sister property The Sun House which is renowned for some of the best food in Sri Lanka. An infinity pool with gorgeous views offers maximum wind down time for you and your family.